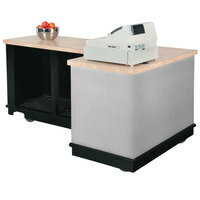 Some of these cash register counters features convenient casters, which allow you to move your stand exactly where you need it, and sturdy designs with durable materials like stainless steel and plastic, so they’re sure to last in any banquet hall or cafeteria. 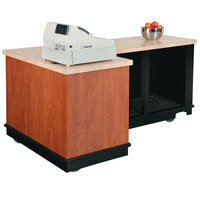 With additions like ergonomic handles and adjustable shelves, these cash register stands can be adjusted to meet your needs. Some of these products even come with a locking top drawer, so your money can stay safe, even when the register is left alone. 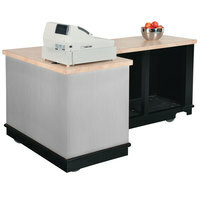 Also make sure to check out other great items from Advance Tabco, Cambro, Lakeside, Vollrath and Eagle Group. 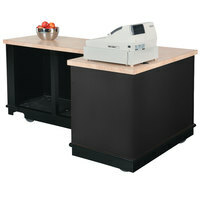 A cash register counter provides you with a more convenient way to hold and transport equipment such as cash registers, computers, and printers. Available in multiple colors and with features to suit every application, these cash register counters are the ideal product for your hospital, cafeteria, or carnival. 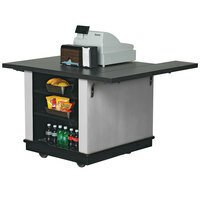 For other great portable food service options, be sure to check out our portable salad bars, work tables, and buffet bar bases. 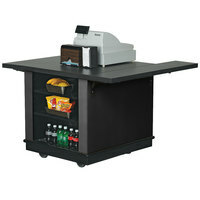 If you're wondering where to buy vollrath cash register stands, we have a large selection of vollrath cash register stands for sale at the lowest prices.